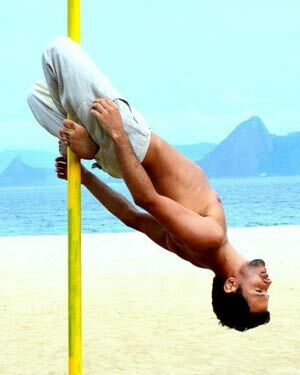 It’s a long story but I started in Pole Dance Studio in Rio because i was falling in love with the art. I love all about spinning on a static pole. When I started I saw a lot of videos of Zoraya Judd because she is so strong and videos of Oona because she is so dynamic. 3 or 4 hours per week. Pole Dance we can express yourself. Pole Fitness you can express the movements. Dancer, cause I love to do this.